Are you in Sydney, New South Wales? Well our good friends at Rainbow Families in NSW has this amazing event this weekend, 11 to 3pm on Sunday 6 May 2018. 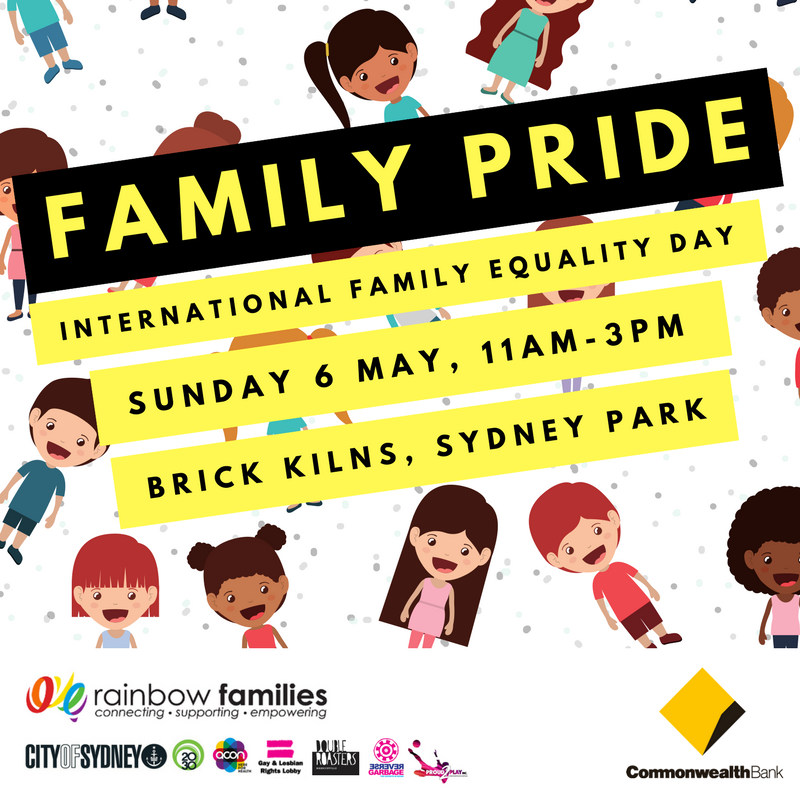 Supported by the Commonwealth Bank and ACON, Family Pride will be bigger and better than ever, with live entertainment featuring Mary Kiani, All Ages Music, Larger than Lions, and Drag Queen Hannah Conda doing a special performance for the kids. Plus FREE activities for toddlers to young people, including two jumping castles, an inflatable obstacle course, an art installation from Reverse Garbage, a rock climbing wall, face-painting, sports activities and arts and crafts. 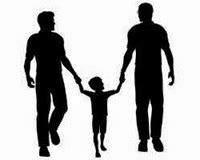 A photographer from Studio Something will be taking free family portraits and The City of Sydney is providing a free BBQ. 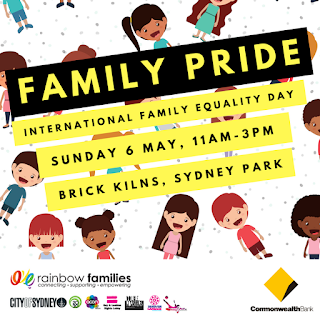 Community organisations including ACON, Gay and Lesbian Rights Lobby, Reverse Garbage, Reach Out, Social Justice in Early Childhood, Proud to Play, the SES and NSW Police will also be on hand with fun activities for the whole family.